Who Uses an EdChoice Scholarship, and Who Benefits? In 1996, Ohio piloted its first school voucher program in Cleveland. Today, Ohio's statewide Educational Choice Scholarship (EdChoice) Program, created in 2005, provides students from underperforming public schools the opportunity to attend participating private schools. It's one of five voucher programs available in Ohio, the most of any state in the U.S. Proponents of school vouchers assert that the programs allow students from low-income families the opportunity to attend high-performing schools they couldn't otherwise afford. Critics argue that school choice afforded by the vouchers hurts those students who remain public schools and drains resources from public education. Do voucher programs actually benefit the students they are designed to help? 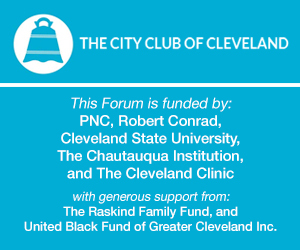 This City Club Forum features a conversation with David N. Figlio, Ph.D., Orrington Lunt Professor of Education and Social Policy at Northwestern University, on the performance of school voucher programs.